The Reef Ecology and Evolution Laboratory at BIOS uses molecular genetics to study coral reef resiliency. From exploring the genetic diversity of coral species on Bermuda’s reefs, to the implications of genetic connectivity between distinct reef habitats, DNA analysis divulges the population dynamics behind reef ecosystems studied in the field. Genetic diversity and connectivity have tangible consequences in the modern world’s rapidly changing environment: higher genetic diversity increases the chances that some members of a coral species will be capable of recovering from the litany of current threats to corals, including warming waters and ocean acidification. Genetic connectivity enables unharmed communities to repopulate sites that have been damaged. With 30% of the world’s coral reefs already considered severely damaged, and close to 60% considered in danger of being lost by 2030, understanding the diversity and connectivity of reef species is essential to effectively protect these valuable marine ecosystems. Goodbody-Gringley’s previous work in Bermuda used genetic techniques to study how different kinds of coral reproductive strategies impact population connectivity and genetic diversity on reefs. Current work in the lab has expanded from sunlit reefs where samples can be collected with conventional SCUBA diving, to mesophotic reefs that thrive in limited sunlight below 40m/130ft. Mesophotic reefs are poorly understood, in part because they are so difficult to access; as a certified Advanced Nitrox, Trimix and Decompression Procedures diver, Goodbody-Gringley is among an elite group of individuals qualified to conduct research using SCUBA at these depths. 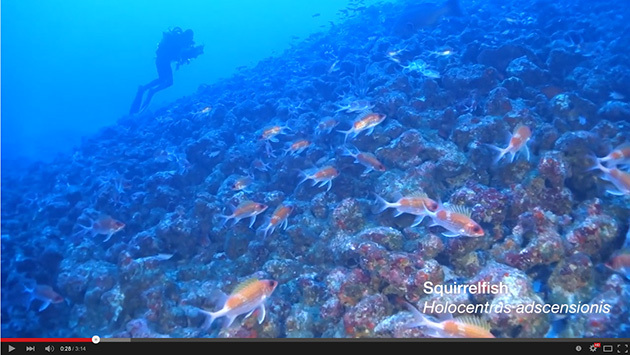 Besides documenting fish and coral species diversity within these ecosystems, a major question of interest is the genetic connectivity between deep and shallow reefs. Genetic data analysis will help determine whether mesophotic corals are isolated or interbreeding with shallow reef corals, and provide important information about the potential for damaged shallow reefs to recover through repopulation by juvenile corals produced by healthier mesophotic reefs. 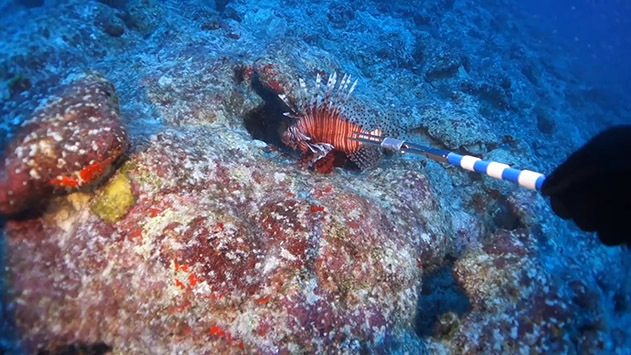 Recent discoveries of invasive lionfish populations thriving on mesophotic reefs are driving similar diversity and connectivity studies in the lab, where the DNA from lionfish speared in deep water surveys is being analyzed to determine whether “hotspot” lionfish populations are isolated or interbreeding. These data will help inform smart culling and trapping programs to protect Bermuda’s reefs from the devastating impact of this voracious nonnative predator.